• To bridge the gap between Police and People. • To Promote transparency and accountability in Police functioning. III. TOTAL AREA OF THE PAKUR DISTRICT:681.21 SQURE K.M. XII. IMPORTANT BUSSNES OF THE PAKUR& AGRICALTURE AND STONE BUSSNES. Pakur is a small district carved out from the district of sahebganj in 28.01.1994. It is located in Santhal Pragana region of Jharkhand. 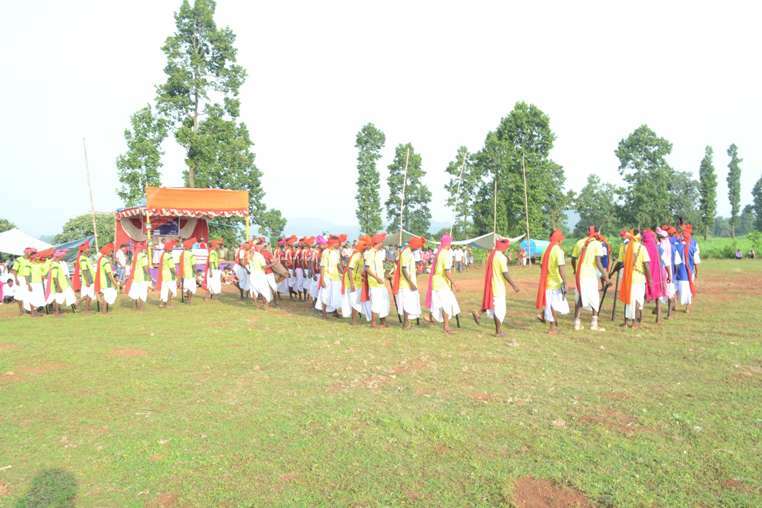 The area is dominated by Santhal Tribe. Naxal activities was almost unknown in this area, in the past, but since the opening of Coal Mines in mid 90’s the naxal have spread their tentacles in this area. 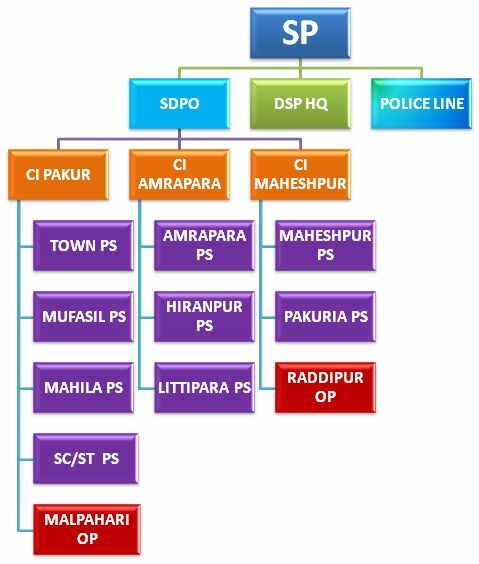 They have a stronghold in Amarapara ps and Pakuria Ps of Pakur. Their spread in the area is mainly for the extraction of levy from the coal mines. The recent killing of social activist Valsa John by naxal with local support .clearly shows that they enjoy popular support in this area. Killing of security Guard of Panem Coal Mines and burning of JCB and Dumphar of contractor is mainly to create havoe among the people and to extract levy from the coal mines. 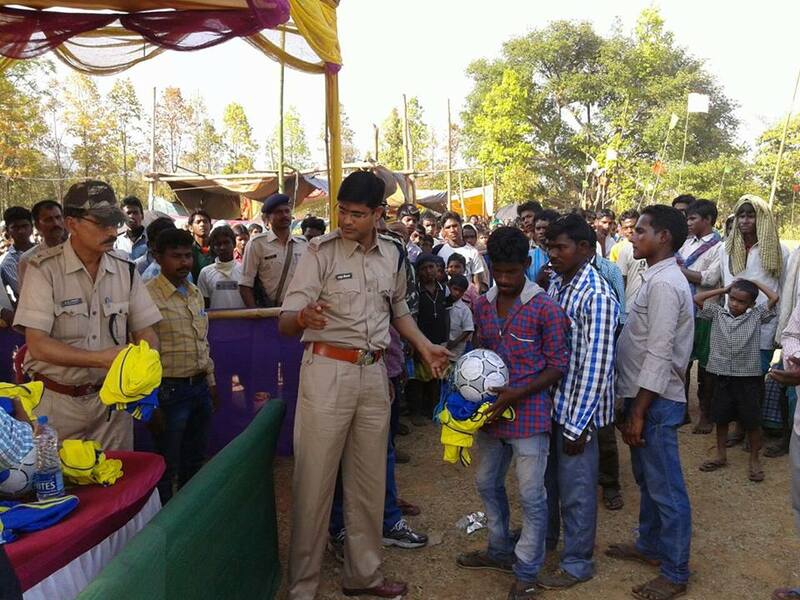 Planting of land Mines in Pakuria PS area to kill security personels was mainly to demoralize the police force . Inspite of all these threat the pakur police is effectively trying to curb this menace. A company of IRB has been stationed in Amrapara area and is constantly dominating that area . Frequent long range Patrolling and Raids in Naxal hideout are being Conducted by pakur police. Apart from this the Common law and order problem is mainly because of coal theft. After coal extraction, the company is transporting the coal in trucks to the nearest Railway station which is 40km. from the Mining area. The local people frequently creates problem by blocking the road to steal coal from this trucks. So there is a frequent road jam in this route, which often creates law and order problem . The pakur police is undertaking frequently day and night patrolling in this roads to stop coal theft. Muffasil ps of pakur area is dominated by Muslim population .There is large influx of Bangladeshi National in this area and they are involved in the transaction of fake Indian Currency Notes. In a nut shell we can say that pakur is a moderately Naxal affected district with a common low and order problem. 1. Pakur Nagar Ps case No-31/18, dated-23.02.2018, U/S-25(1-b)a/26/35 Arms Act. 1. Manjeet Murmu @ Manik Murmu, Dist-Pakur. -- One desi katta. 00 One Carties 8mm. 1. One Motorcycle. 4 Amrapara P.S Case No-33/18, Dt-14.07.2018, Section-399/333/307/ 402 I.p.c. &25(1-b)26/27 Arms Act. 1. Pargana Soren, S/O-Raska Soren, Vill-Barataldih. 2. Sadeshwar Maraiya, S/O-Late Babua Maraiya, Vill-Bandhakoi Khurd. 4.Babuji Murmu, S/O-Ranjan Murmu, Bandhakoi Khurd. 5.Kamshwar Murmu, S/O-Late Lakhan Murmu, Vill- Bandhakoi Khurd. -- 315 Bore ka One Alive Carties. And One Khokha. Two bike. 6 Maheshpur P.S Case No177/18, Dt-10.10.2018, Section-25(1-A)(1-B) (a) 26/35 Arms Act. 1. Ashok Mandal, S/O-Sukhdev Mandal, Vill-Lukluki Dumriya, PS+Dist-Godda. 2.Ghanshyam Yadav, S/O-Nepali Yadav, Vill-Khaira, PS-Patthargama, Dist-Godda. 3.Anwar Shaikh, S/O-Ali Hussain, Vill-Joba, PS-Tinpahar, Dist-Sahibganj. 4.Imtiyazul Huaq, S/O-Anusa Huaq Ansari, Vill-Panchrukhi, PS-Godda (M), Dist-Godda. 5.Mansur Ansari, S/O-Idrish Ansari, Vill-Bari Ilmani, PS-Godda (M), Dist-Godda. 6.Mahmub Shaikh @ Makbul Ansari @ Akramul Shaikh, S/O-iliyash Ansari, Vill-Bakudih, PS-Tinpahar, Dist-Sahibganj. 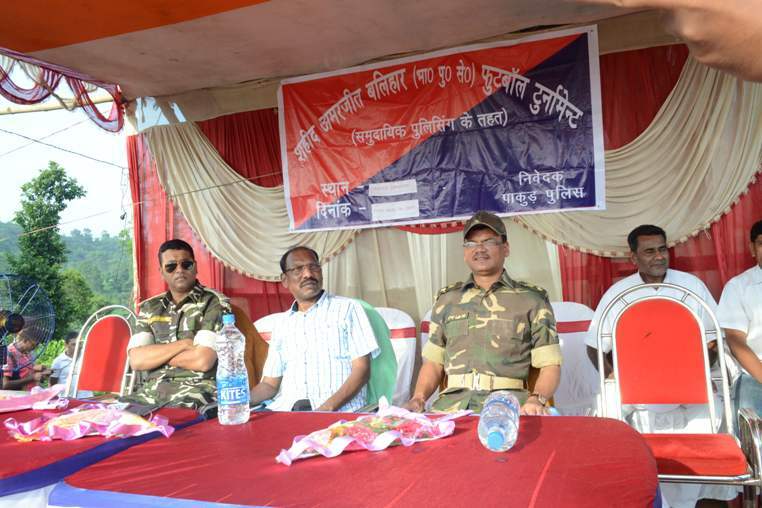 7.Cirku, S/O-Anone, Vill-Kushbila, PS-Rajbhitha, Dist-Godda. 1. One Deshi Katta Loded. 7 Pakur (M),P.S, Case No176/18, Dt-05.12.2018, Section-25(1-B) (A)26/35 Arms Act 1959. 1.Lal Mohmmad Shekh @ Lalu, S/O-Noor Hussain, Vill-Sangrampur , PS-Pakur(M), Dist-Pakur. 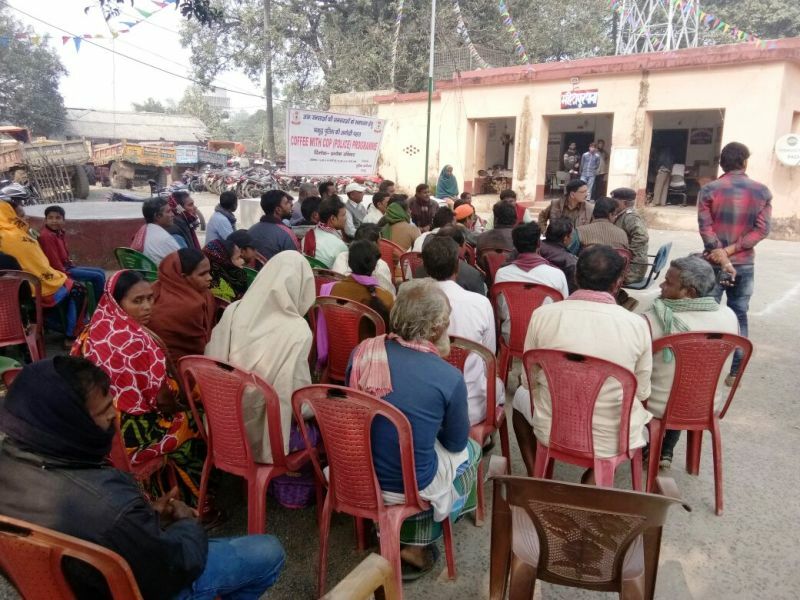 2.Jabbar Shekh, Vill-Kumarpur, PS-Pakur(M), Dist-Pakur. 3.Inus Shekh @ Robot, Vill-Kumarpur, PS-Pakur(M), Dist-Pakur. 4.Sameer Shekh, Vill-Gaganpahari, PS-Pakur(M), Dist-Pakur. 5.Josim Shekh, Vill-Gaganpahari, PS-Pakur(M), Dist-Pakur. 6.Sohel Shekh, Vill-Sree Kund(Gumani), PS-Barharwa, Dist-Sahibganj. 2. Tazmul Shekh, S/o- Abul Shekh, At-Irajpur,Ps-Maheshpur, Dist.-Pakur. 4. Vimal Shekh, S/o-Niyamul Shekh, At-Lohapur Bara, Ps-Nalhatti, Dist-Birbhum (W.B). 1. Dulal Ansari, S/o-Ali Husain,At-Shyam Sundarpur, Ps- Pakuria,Dist.Pakur. 2. Abubakkar Alam, S/o-Mansur Miya, At-Sarsabandh, Ps-Pakuria,Dist.-Pakur. 8 Amrapara PS Case No-51/17,Dated-14.10.2017,U/S-25(1-b)a/26/27/35 Arms Act. 1.Late Kunal Murmu,S/O-Nazir Murmu,Vill-Dumrghati,PS-Mahespur,Dist-Pakur,And Unknown For Pipe Gun 12 Bore One Loaded Desi Pistol(Katta) -- Pipe Gun ka 3 carties 12 Bore One Khokha and Other same. 9 Hiranpur Ps case No-94/17, dated-10.11.17, U/S-396 I.P.C 1. Nasim Ansari, At-Dangalpara, Ps-Hiranpur,Dist-Pakur. 2. Zahiruddin Ansari, At-Barasarsa, Ps-Littipara,Dist-Pakur. 3 Pakur(Town) Ps Case No-135/16 dated-12.06.16 U/S-399/402 I.P.C. & 25(1-B)A/26/35 Arms Act. 1. Ashok Singh @ Shekh Munna, S/o-Late Ram Swarup Singh At-Nalpokhar Ps-Pakur(N) Dist-Pakur. 2. Kedar Prasad, S/o-Late Lakshmi Narayan Bhagat At-Silpalli Ps- Gajal Dist- Malda(W.B). 3. 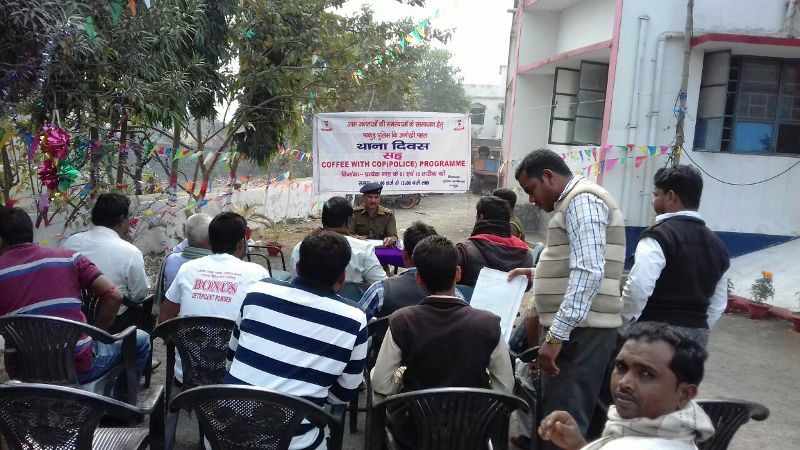 Kailash Mandal @ Kailash, S/o-Ram Sundar Mandal At- Shobhanpur Ambadih naya tola Ps-Jirwabari Dist-Sahebganj. 4. Md. Fateh Alam, S/o- Md. Kabir At- Beldar chowk Ps-Rajmahal Dist-Sahebganj. 5. Rajiv Kumar, S/o- Hira Lal Saw At-Choti Keshavpur Ps-Jamalpur Dist- Munger(Bihar). 9 Hiranpur Ps case No-98/16, Dated-23.11.16, U/S-392/411 I.P.C 1. Rohit Sah, S/o- Sitaram Sah, At-Pachai Bara, Ps- Maheshpur, Dist-Pakur. 2. Saddam Ansari, S/o- Shahid Ansari,At-Baskendri, Ps- Maheshpur, Dist-Pakur. 3. Abbubakar Alam, S/o- Mansur Miya,At-Sarsaband, Ps-Pakuria, Dist-Pakur. 10 Pakur Town ps case No-249/16 Dated-06.12.16, U/S-25(1-B)A/26/35 Arms Act. 1. Azruddin Miya, S/o- Kasmuddin Miya, At-Rajapokhar, Ps- Pakuria, Dist.-Pakur. 2. Shekhar Mandal, S/o- Late Noni Gopal Mandal, At- Gwalpara, Ps- Pakur Nagar, Dist-Pakur. 3. Guddu Kumar Yadav, S/o- Hareram Yadav,At-Suremanpur, Ps- Paraiya, Dist-Baliya(UP). 4. Zainul Shekh, S/o- Abdul Hasan, At-Isakpur, Ps-Pakur mufsil, Dist-Pakur. 5. Zalim Ghosh, S/o-Late Kaleshwar Ghosh, At- Dadpur, Ps- Pakur mufsil, Dist-Pakur. 6. Uday Ghosh, S/o- Late Sudari Ghosh, At- Dadpur, Ps-Pakur mufsil, Dist-Pakur. 7. Ilachi Ghosh, S/o-Veer Mohan Ghosh,At- Dadpur,Ps- Pakur mufsil, Dist-Pakur. 2 Pakur(Mufasil. Case No-119/15 Dt.-13.03.15 U/S-395/412 I.P.C & ¾ Explosive Act. 1.Rafikul Shekh urf Rapu urf Repu urf Sapu Shekh S/o- Sukur Shekh At-Boragachi Tola Sirsa P.S-Shamsherganj Dist-Mursidabad(W.B. Vill-Ilami Sirsa Tola Ps-Pakur(M. Dist-Pakur. 2. Zainul Shekh S/o-Abdul Hassan Shekh Vill-Isakpur Ps-Pakur(M. Dist-Pakur. 3. Alfazul Shekh urf Alfa S/o-Late Nurmohammad vill-Ilami Purabpara PS-Pakur(M. Dist-Pakur. -- -- -- -- One CD Delux Hero Honda Motor Cycle. 5.Madan Marandi,S/o-Dupty Marandi dono At- Littipara Ps-Amrapara Dist-Pakur. Ka kul 500 Pc. Cartridge -- Glamour Motor Cycle without No. 11 Amrapara Ps case No-53/15, Dt.-05.10.15, U/S-414 I.P.C 25(1-B.A/35 Arms Act. 1. Pawan Kr. Varma,S/o-Subhash Varma At-Shivpahar Chok Uraon Baban Singh road Ps-Muffsil Dumka. 2.Sarful Shekh,S/o-Sentu Shekh dono ka At-Muraroi Hospital Road Distt.-Birbhum(WB. 10. Kuldeep Hembrom,S/o-Balo Hembrom At-Tarbona Ps-Taljhari All Distt.-Sahibganj One Desi Rife One Desi Pistol -- -- Two Keda (Daw. 2 Pakur PS case No. 49/14 Date 22.02.14 u/s. 489(B./489(C./420/34 IPC 1. Salim Shekh, S/O Late Amo urf Aam Shekh, At.- Kistopur Madaritola, PS- Vaishnay Nagar, Dist.- Malda, W.B -- -- -- -- Rs. 1000*60 pice and 500*100 Pice dublicate note. 2.Malik Dudh Kr. Mandal S/o-Late Charu Mandal urf Sachin Mandal both are at-Hasupur Ps-Shamsherganj Dist.-Mursidabad(W.B. 2 Pakur Ps case no-29/13 date-29.01.13 U/S-411IPC 1. Jakat Shekh At- Harinaj Ps- Pakur(M., Dist-Pakur. -- -- -- -- One Motorcycle par load 1 Quintal Coal. 3 Maheshpur Ps case no-07/13 date-09.01.13 U/S-379/411 IPC 1. Chandu Khalifa S/o- Jaka khalifa At- Tetulia Ps-Maheshpur. -- -- -- -- One cycle par load 2.5 Quintal coal. 4 Maheshpur Ps case no-10/13 date-10.01.13 U/S-411 IPC 1. Kasel Ansari &Khurshi Mia -- -- -- -- One Motorcycle par load 2 Quintal Coal. 6 Pakur Ps case no-13/13 date-06.02.13 U/S-379/511IPC 1. Kajiddul Shekh & One Namjad At- Chachki Ps- Pakur(M.. -- -- -- -- Two cycle par load 5 Quintal Coal. 7 Pakur Ps case no-47/13 date-10.02.13 U/S-379/411IPC 1. Nageshwar Sah At-Bichamahal Ps- Littipara&Two Namjad -- -- -- -- Three cycle par load 6 Quintal Coal. 8 Pakur Ps case no-50/13 date-21.02.13 U/S-379/411IPC 1. Israil Shekh S/o- Munsur Ansari At-Hahihara Ps- pakur(M. -- -- -- -- One cycle par load 1 Quintal Coal. 9 Pakur Malpahari OP case no-44/13 date-08.02.13 U/S-379/411IPC 1. Apul Shekh S/o- Anirul Shekh At- Putimara Ps-Samsherganj Dist- Mursidabad -- -- -- -- One cycle par load 1 Quintal Coal. 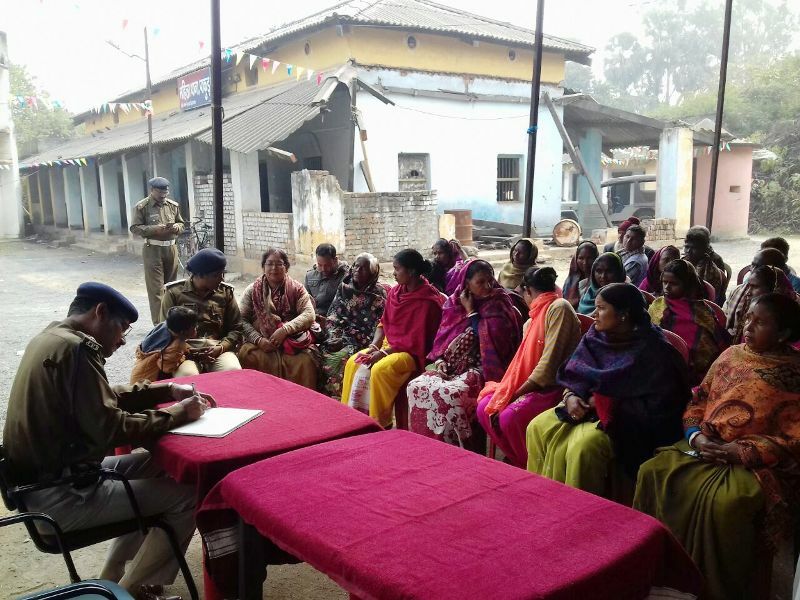 10 Pakur Malpahari OP case no-54/13 date-23.02.13 U/S-379/411IPC 1. Mainul Haque S/o-Lutfut Haque At-Sitarampur Ps-pakur(M.. -- -- -- -- One cycle par load 1 Quintal Coal. 11 Pakur(M. Case no-34/13 date-04.02.13 U/S-414IPC 1. Afjarul Shekh S/o- Tajamul Haque At-Naya amtalla Ps-pakur(M.. -- -- -- -- One Bhutbhutia van par 8 Quintal Coal. 12 Pakur(M. Case no-53/13 date-24.02.13 U/S-414IPC 1. Khabir Shekh S/o-Sunkaroddin Shekh At- Chandpur Ps- pakur(M. &Two Namjad. -- -- -- -- Three cycle par load 6 Quintal Coal. 13 Maheshpur Ps case no-21/13 date-07.02.13 U/S-411IPC 1. Senatan Late Ps-Maheshpur Dist-pakur. -- -- -- -- Itbhatta se 10 Quintal Coal. 14 Maheshpur Ps case no-41/13 date-24.02.13 U/S-411IPC 1. Karik md. At- Vilashpur Dist- Pakur. -- -- -- -- Itbhatta se 10 Quintal Coal. 36 Amrapara PS case no-43/13 date-20.07.13 U/S-302 IPC 1. 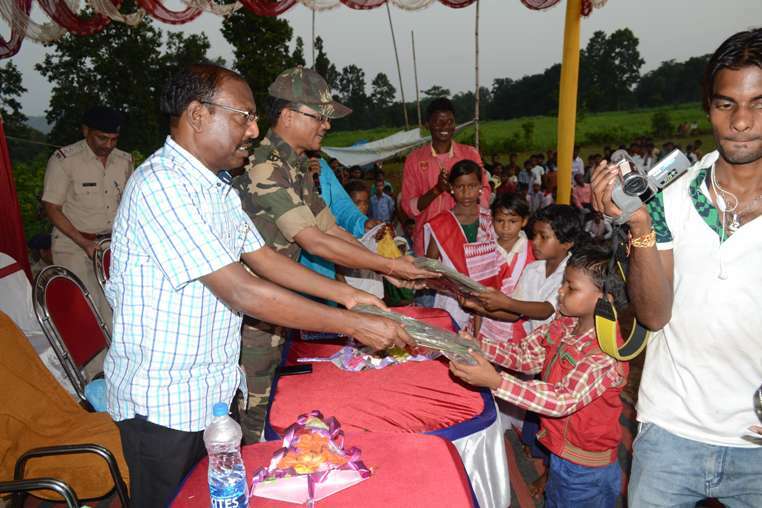 Rafail Murmu S/o-Late Choto Murmu At-Chotopaharpur ultola,PS -Amrapara,Dist-Pakur. -- -- -- -- Baithi Par Blood laga hua. 6 Pakur P.S Case No. 58/12 dated-24.2.12 u/s 414/34 I.P.C 1. Mintu urf Akbar shekh S/o Samaul shekh & other 5 Person -- -- -- -- One theft Motorcycle recovered. 9 Malpahari op case no-56/12, Date-23.02.12 u/s 3/4/5 explosive act. 1. Mahbul sekh S/O-Almesh sekh, At-sitapahari, Malpahari op, dist-pakur. 17 Malpahari op case no-155/12, Date-05.06.12 u/s 4/5 explosive act. 1. Badra alam S/O-kharul Basal at-dumria ps-muraroi dist-virbhum(WB. 2. Sarful sekh S/O-Late patlu sekh at-kabilpur patharghatha ps-malpahari op dist-pakur -- -- 1.Tata sumo no.MH03h-9776 loaded 11 bora Aluminium Nitrate. 18 Pakur(T. ps case no.169/12 date-11-06-12 u/s-452/307/302/34 I.P.C&25(1-B.A Arms Act. 1. 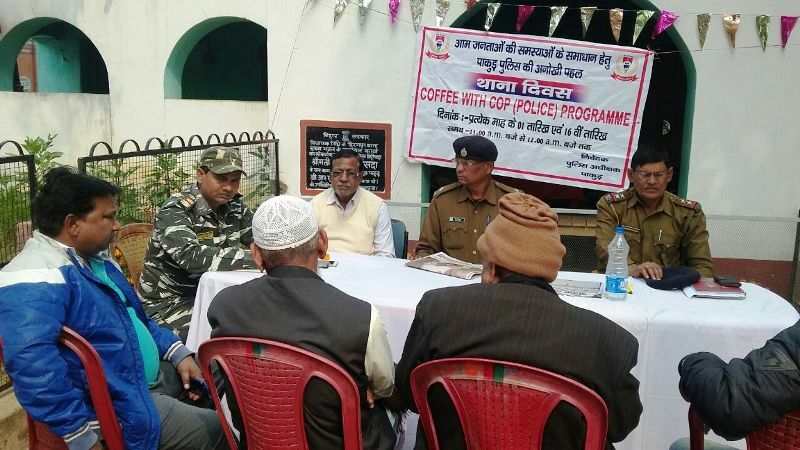 Kasim sekh S/O-Late Sarfiddin sekh At-Mainatalab ps-rajmahal Dist-Sahebganj. 4. One Tej dhar talwar. 33 Maheshpur PS case no.412/12 Date-14.12.12 u/s-414/34 I.P.C Act. 1. Arvind kr. Yadav S/o- Late Jagdev pd yadav At- Gamhria Ps- doraia Dist- Banka (Bihar. 2. Khalasi Phrabhu kr. 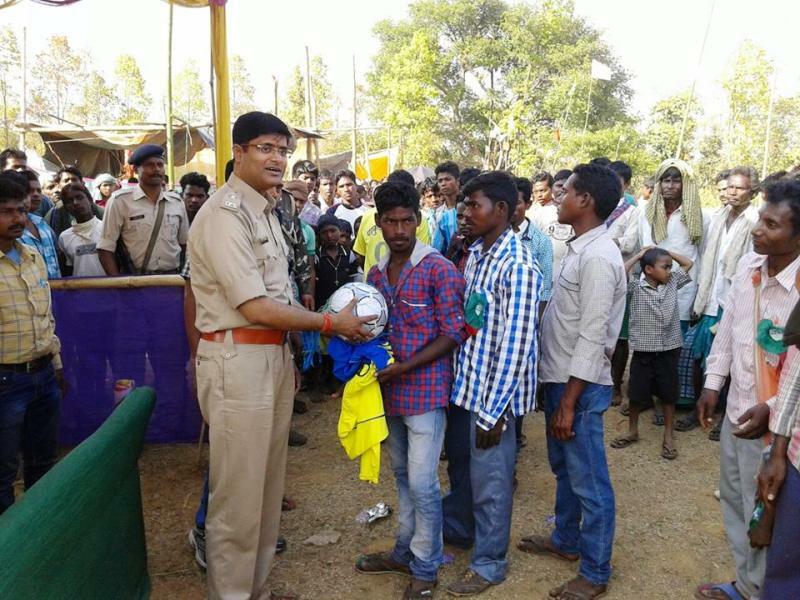 Sah So- Bhagwan Pd sah At- Dhamni Bazar Ps- Sundarpahari Dist-Godda. 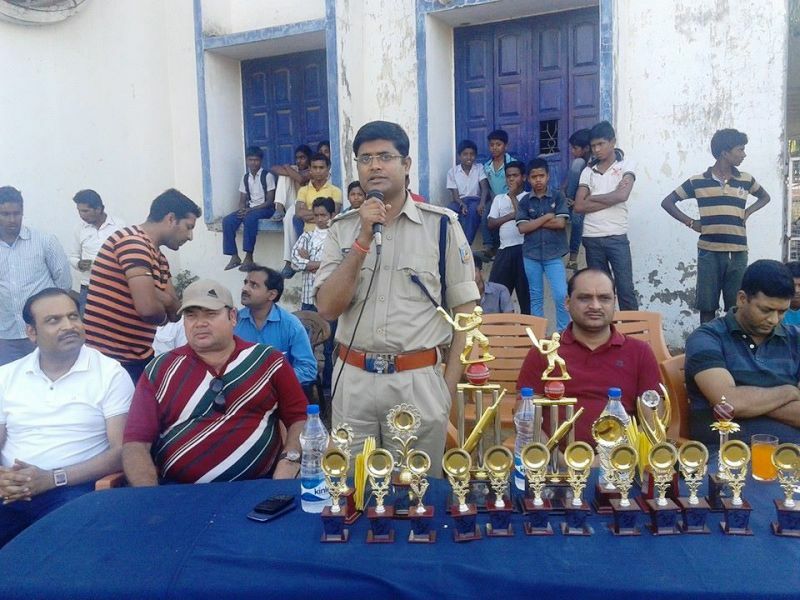 2.Chandan Bhagat s/o-Bharat bhagat At-jamugaria ps-shikaripara Dist-Dumka. 4.Addu Shekh s/o-Siddiqe Shekh At-Gopalpur ps-Muraroi Dist-Birbhum (WB. -- -- -- -- Two Mobile,60Litre diesel etc. 5 Pakur P.S case no. 2/11 dated- 4.1.11 u/s 379/411 I.P.C Act 1. Sairul Islam s/o Abdul Halim at-Manirampur, P.S-Pakur (M.
1. Pakur (MUFSIL) Ps case No-26/18, dated-25.02.2018, U/S-120(B)I.p.c. & 17 C.l.a Act 1908. 1. Hainzal Shaikh, S/O-Hasruddin Shaikh , Vill-Manirampur, PS-Pakur(Mufsil) Dist-Pakur. 2. Abdul Badud, S/O-Ezabul Hqu, Vill-Udhawa, PS-Radhanagar, Dist-Sahibganj. 3. Abdul Hanan, S/O-Rajual Shaikh, Vill-Anjna, PS-Pakur(Mufsil) Dist-Pakur. 4. Habibur Rahmen, S/O-Aas Mohammad , Vill-Naya Farsha, PS-Pakur(Mufsil) Dist-Pakur. 5. Samim Akhater, S/O-Anarul Hqu, Vill-Chandpur(Gumani), PS-Kotalpokhar. Dist-Sahibgaj. 6. Abedur Rahman, S/O-Samsuk Hoda, Vill-Chandpara, PS-Pakur(Mufsil) Dist-Pakur. 7. Mohebur Rahman Shaikh, S/O-Ehasan Shaikh, Vill-Ballavpur, PS-Pakur(Nagar) Dist-Pakur. 8. Lukman Ansari, S/O-Jainul Avedin Ansari, Vill-Barhet, PS-Barhet Dist-Sahibganj. 9. Md. Saddam Shaikh, S/O-Maniruddeen Shaikh, Vill-Sangrampur, PS-Pakur(Mufsil) Dist-Pakur. 10. Mahimuddeen Shaikh, S/O-Abdul Halim, Vill-Navada, PS-Pakur(Mufsil) Dist-Pakur. 11. Mohammad Husain, S/O-Md. Alif, Vill-Randanga, PS-Pakur(Mufsil) Dist-Pakur. 2. Maheshpur P.S Case No165/18, Dt-29.09.2018, Section-307/353/332 I.P.C. &25(1-a)b/26/35/27 Arms Act. & 17C.L.A. Act. 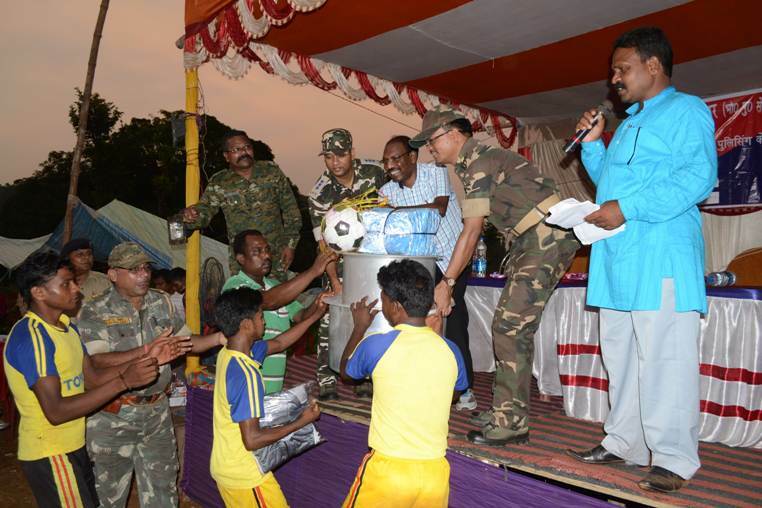 1.Sunil Murmu, S/O-Late mangal Murmu, Vill-Dumrghati, P.S.-Maheshpur, Dist-Pakur & Two Unknown -- One Desi Katta Loded. -- 12 Bore ka one Alive Carties. 3. Anita Murmu S/o-Late Mangal Murmu, At-Paharpur, Ps-Sundarpahari, Dist-Godda. 1 Amrapara ps/case no-73/11 dated-02.11.11 u/s-147/148/149/342/323/379/435 I.P.C&C.L.A Act. -- -- -- -- -- Naxal poster. 10.Munshi Tuddu s/o Late kubraj tuddu At.dangapara. 11.Jitan Baski s/oJagar Baski At. Alubera. 12.Suresh murmu s/o kangay murmu At.pachubara. 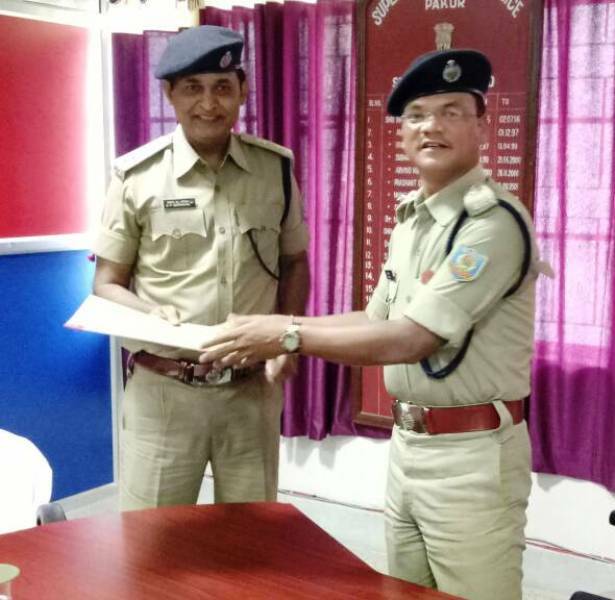 13.Bablu Murmu s/o-Hopna Murmu At.kataldih ps-Amrapara Dist- pakur. 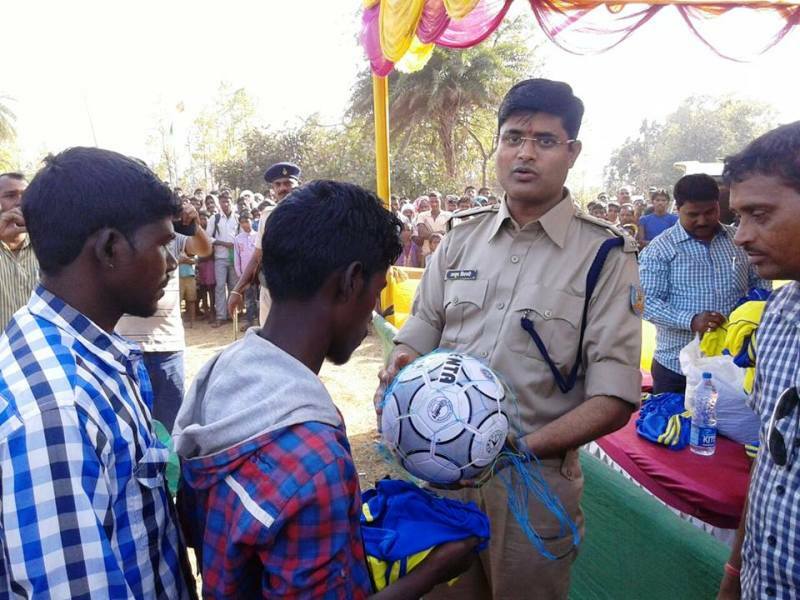 To enhance the public-police co-operation in naxal affected area, a programme was conducted on 24.12.2012 in village khandokatta under Amrapara Ps where several house hold items like Blankets, panchi, saries, Lungi and dhoti etc were distributed among the local people of village khandokatta, Solapathar, chelapathar, Bargo, Taldih, Dudhajor, Singhdehri, Talbarlo, Siyalpahari, Singhdehri pahar, Suwandokanta, Makhanmara, Tankitola and Baghmara . 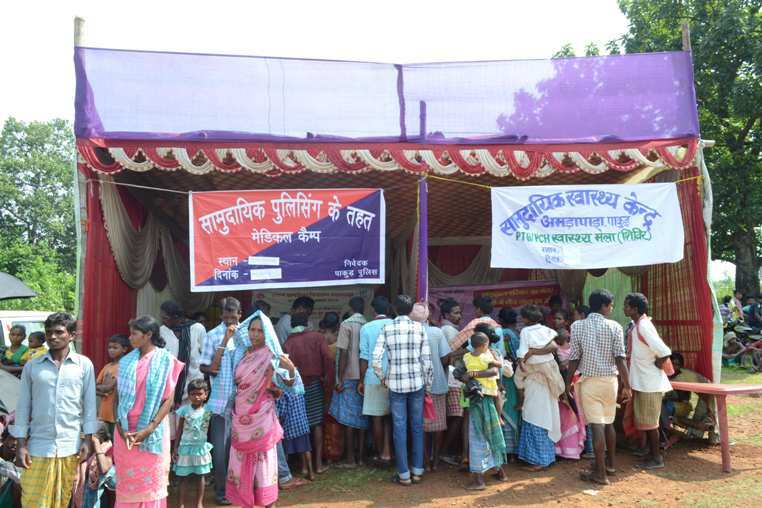 A medical check up camp was also organized to provide free medicines and medical check up for the local villagers. People from surrounding areas participated in a large number. 1 Pakur Sunil Marandi s/o Soma Marand, Vill- Bargo (Khandokata Tala toli) PS Amrapara, Distt. Pakur CPI (Maoist) Member 15-01-2017 Ex-Gratia – Rs. 50,000/- Total Rs.-50,000/- 1- Vocational training. 2- Land allotment for house bldg. 3- House rent. 4- Tution fee. 5- Govt. job. 6- House bldg.